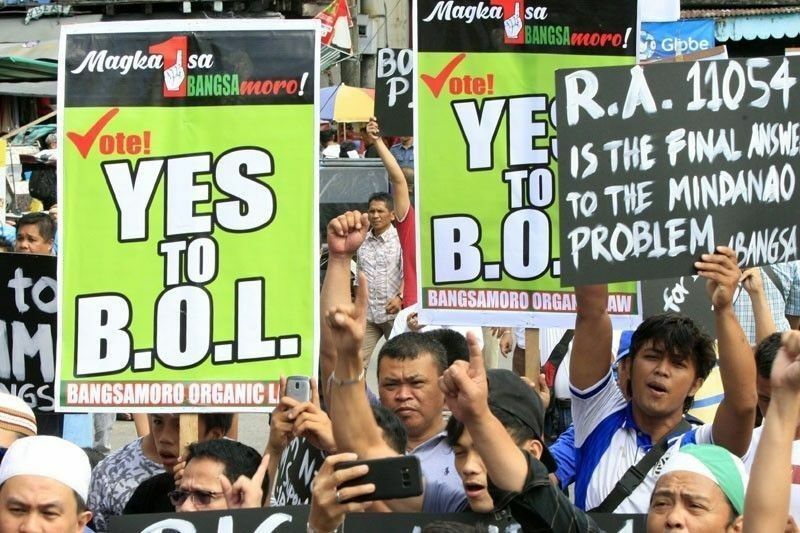 MANILA, Philippines — Malacañang on Wednesday announced that February 6 is a special non-working holiday due to the plebiscite on the Bangsamoro Organic Law. “Whereas, the Commission on Elections will conduct a plebiscite on 6 February 2019, Wednesday in the Province of Lanao del Norte (except Iligan City), and the Municipalities of Aleosan, Carmen, Kabacan, Midsayap, Pikit, Pigkawayan, and Tulunan, all in the Province of North Cotabato, for the ratification of RA 11054 dated 27 July 2018, otherwise known as the "Organic Law for the Bangsamoro Autonomous Region in Muslim Mindanao," Proclamation No. 656 read. The Palace said it wants residents of the municipalities of Aleosan, Carmen, Kabacan, Midsayap, Pikit, Pigkawayan and Tulunan to have the opportunity to actively and fully participate in the plebiscite and exercise their right to vote. “It is but fitting and proper to declare February 6, 2019 special non-working holiday,” the proclamation read. Executive Secretary Salvador Medialdea, by the authority of President Rodrigo Duterte, signed the proclamation on Monday, January 21, but it was only released to media on Wednesday, January 23. Last week, Malacañang also declared January 21 as a holiday in the Autonomous Region in Muslim Mindanao, Cotabato City and Isabela City, Basilan due to the plebiscite on the BOL. The holiday was declared through Proclamation No. 646 signed January 10.